School’s out and you need to write an email asking for an internship, but have no idea how. It’s a situation we’ve all been in at some point. 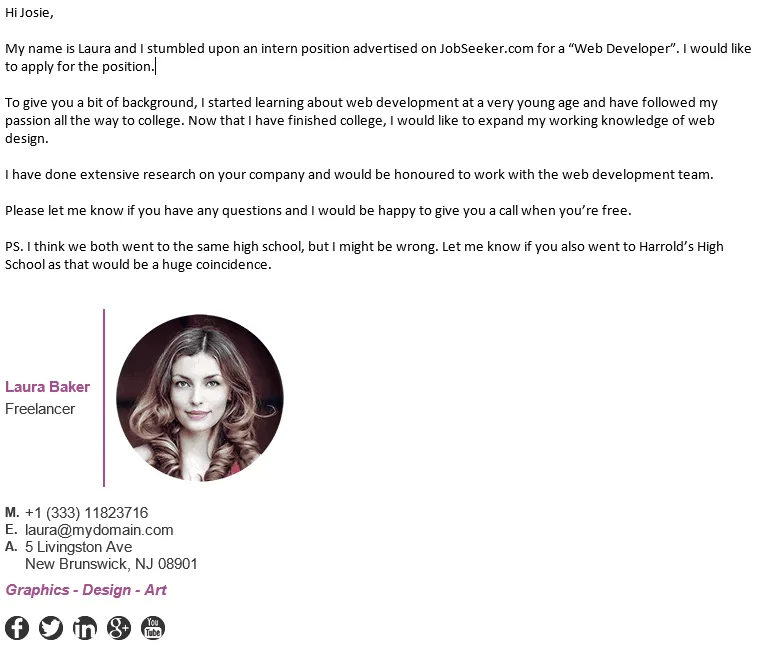 What better way to kick-start your career than to craft the absolute best cold email your prospective employer has ever seen. This is one of the most important points to consider, as it can dramatically increase your chances of landing that internship, especially if you’re applying directly to the employer (and not to an employment agency). Firstly, you will want to find out as much as you can about the company. What do they do, where do they do it, how many staff do they employ, what is their main source of income etc. Not only will this help you to craft a perfectly personalized email to the recruiter, it will help you understand whether you actually want to work for that employer. You want that internship, right? That means focusing on quality over quantity. There’s no point sending out a generic resume to 300 recruiters because all that you’ll get back is a generic reply. That being said, try to apply for fewer jobs, but adjust your resume for those specific jobs you’re applying for. There’s a great resource that explains this in a lot more detail here. This is another super important step which again helps you craft a really good personalized email. Establishing common ground with the very people who you want to employ you is crucial. Before establishing common ground, you need to first find out who is responsible for the recruitment process? Most job listings have a first and last name for the person responsible. If they don’t, make sure you call the recruiter and get a name. When you get the name, simply do some stalking on all the social media websites like Facebook, Twitter, Instagram etc. If you see a picture of that person fishing on the beach, then it’s safe to assume that they like fishing, right? What a great way to establish common ground straight away. If you feel bad about doing this, then don’t. Research shows that 70% of employers are looking at candidates social media profiles. So, its quite likely that they will be looking at your social profiles too, which brings me to the next step. Knowing that it’s likely that your work experience provider will snoop through your social profiles, you need to ask yourself “How does my social profile portray me?”. Are the publicly available pictures suitable for all the recruiters to see? 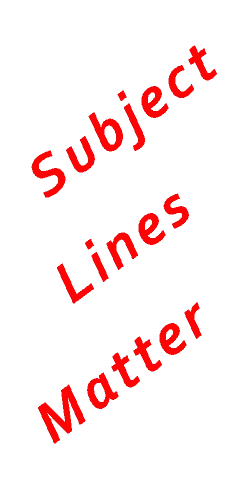 Do the posts have any bad language in there? Another great thing to do is to simply Google your name and see what comes up. If there’s a news article that comes up where you were involved in a murder, that won’t go down so well. If there are things about you on the internet that you cannot control such as an article on a news website, be prepared to answer any questions about it if you’re asked. Creating the best subject line is an important way to capture the reader’s attention. Studies have shown that a good subject line can increase the email open rate dramatically. Think of a subject line as the hook on the end of a fishing line. If you use a standard hook, many fish will see the hook and not take a bite. If your hook is seethrough, many won’t see it and will take the bite. This is why a good selection of words that explain the subject of an email is crucial. The former tell’s the reader your name, but do they really need to know it on the subject line? Don’t waste valuable subject line space. This is the part you need to get right in order for your internship application to get some traction. While the subject line hooks the recipient into reading your email, you need to employ another strategy to keep them reading the email past the first sentence. Personalizing an email makes the recipient more likely to keep reading. 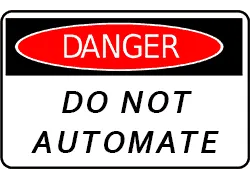 When was the last time you received an automated email and read through the whole thing? Probably in 1998. The aim here is to make your email sound genuine and address it to the specific person you’re emailing. Remember when we talked about finding a common ground? Well, this is where you will use that common ground to personalize the email. One is short and generic which has some text for an email signature and doesn’t even include any contact details. The other is longer and more personalized and has a full HTML email signature with some images and colors to illustrate your passion (in this case photography) and your full contact details. If you want to make it even easier for them to contact you, you could implement a click-to-call for the phone number in your email signature. They say “a picture is worth a thousand words”. In this case, it really is. People associate better when they can see your face. Would you rather receive an email with no image or one with a picture of the person you’re communicating with? The latter, of course. Creating a great looking email signature is very easy if you know how. If you don’t know how, then use an app like Gimmio. You will be able to create the same email signature as the example above. But of course, the design possibilities are endless. 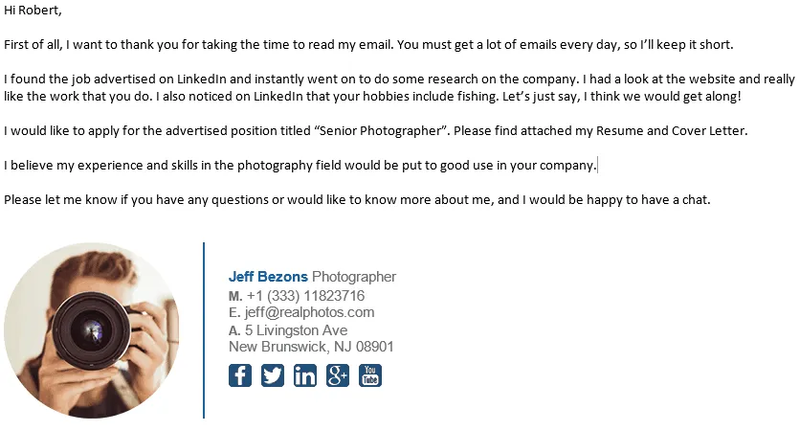 Prospective employers will notice your email signature and will look at it favorably. It shows them that you have taken the time to develop your own identity and therefore have a proactive personality. Often, people are busy…it’s just the way of our modern life. If you don’t get a reply to your first cold email, don’t be annoyed or frustrated as people can sometimes forget or have higher priorities at that point in time. Rather, shrug it off and try to contact them again. Persistence pays off in the end. A good practice is to set yourself a calendar reminder to follow up with the person if they haven’t emailed you back within about 7 days. If the deadline for the internship application is approaching, you may wish to follow up sooner. Whatever you do, don’t forget to follow up! Some employers will see this as strong willpower, and that is a great thing if you plan on being an employee of the company. 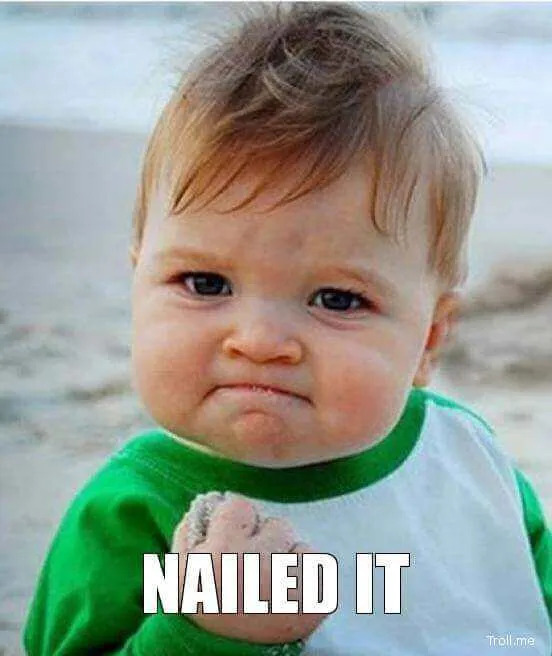 If you’re successful with your application (which you should be after reading this post!!) 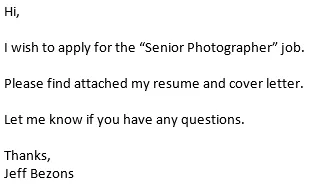 then there’s no better way to show your gratitude than sending an acceptance email for the internship opportunity. When writing the acceptance email, don’t forget to thank them for the privilege. Make it known that you will do everything in your power to learn as much as possible whilst on the assignment. Make sure you ask for all the finer details such as what day/time to report for duty, what uniform to wear, and if there are any forms to fill out. If you don’t get the work experience placement that you were hoping for, don’t be upset. Instead, send the employer an email thanking them for their consideration. Make sure they know that you’re still interested in the internship and that you would be happy to work with them in the future. You never know, you may get a call in a week telling you that the person they chose for the internship didn’t work out. Don’t do this. Like we said before, it’s better to focus on quality rather than quantity. One of the worst things you can do is send out a mass email to a bunch of employers which are offering work experience placements in the hope that someone will actually read your automated and scripted email with no personalization to it. 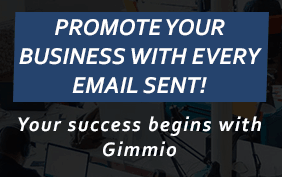 Over the years, people have become accustomed to receiving tons of junk in their mailboxes every single day, which means your automated email is highly unlikely to be successful, let alone even be read. This is a rookie mistake, but it’s happened to most of us before. Check over your resume, cover letter, and email signature to make sure the contact details are correct. “Yo man, wassup?” is not the best way to address someone if you’re trying to convey professionalism. There is a big difference between keeping the flow of a conversation casual and using improper language to communicate. Your job here is to impress the person you’re emailing so much, that they hire you. Not sure whats acceptable and what isn’t? Imagine the language and conversational tone you would use when writing a letter to your grandmother. This is the language and tone you should use. 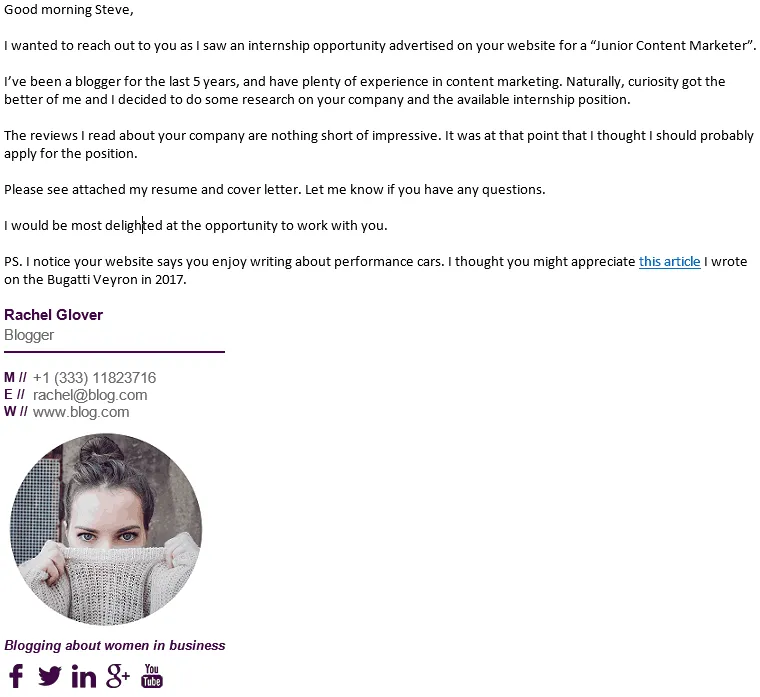 Let’s take a look at some good samples of internship cold emails to give you an idea of what it should look like, and how it should be structured.